The Magellan spacecraft, mapping the surface of Venus with imaging radar, has discovered the longest channel known in the solar system, a project spokesman at NASA's Jet Propulsion Laboratory said. The channel crosses the plains of Venus for 6,800 kilometers (4,200 miles), longer than the Nile River, the longest river on Earth, said Project Scientist Dr. Steve Saunders. "The very existence of such a long channel is a great puzzle," Saunders said. "If the long channel were carved by something flowing on the surface the liquid must have had unusual properties." Saunders said it may have been some material that was near its freezing or melting point at the average surface conditions of Venus -- surface pressure 90 times that of Earth and a temperature of 864 degrees Fahrenheit. "There are no very likely candidates for a liquid," Saunders said. "Lava, even very high temperature types, would need to have a very high rate of flow to go so far. This is not consistent with the uniform narrow channel morphology." He said the channel is very uniform in width, averaging little more than one mile across (1.8 kilometers). "It follows a sinuous, smoothly-curving course that can be traced continuously on the surface just west of Atla Regio northward nearly to the large basin called Atalanta Planitia." A few segments of the channel were mapped in 1984 by the Soviet Venera 15 and 16 orbiters which carried radar capable of resolving features down to 1 to 2 kilometers (0.6 to 1.2 miles). With the higher resolution of Magellan, about 400 feet (120 meters) the channel can be traced unbroken along its course, Saunders said. 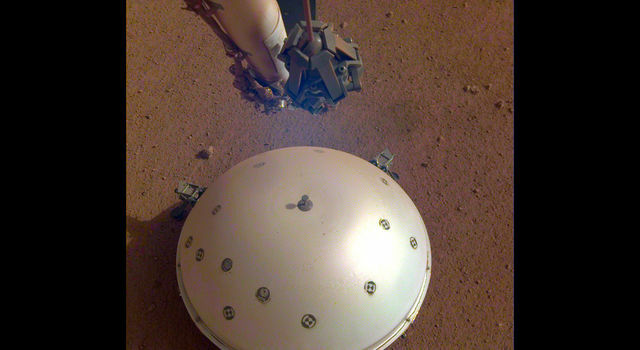 Similar channels have been seen on many of the plains surfaces in other parts of Venus, he said. In some cases the channels terminate in lava flows, indicating that they probably were carved out by molten lava from a volcanic eruption. No similar features are now known on Earth, although lava channels are known to have formed on Earth billions of years ago. 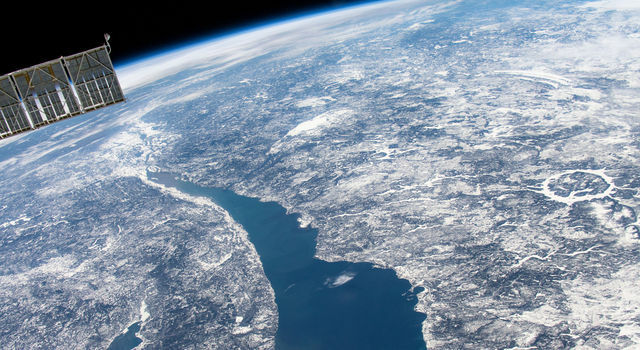 "The challenge of understanding the origin of this channel will lead to better understanding of planetary geological processes and many related fields such as material properties and fluid mechanics," Saunders said. Magellan is currently mapping the south pole of Venus. 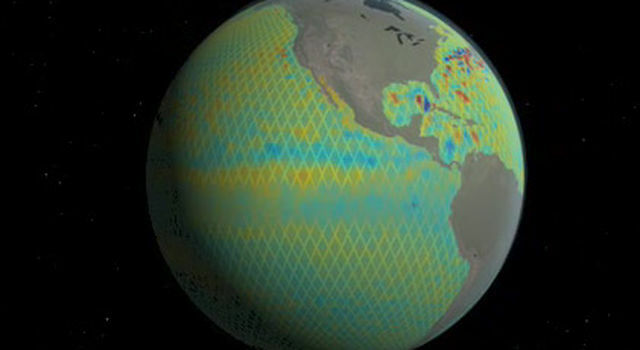 In the first 243-day mapping cycle which ended May 15, the spacecraft mapped 84 percent of the planet. In its second cycle, it has mapped for the second time a 600-mile wide strip and that section of Venus is being examined to see if any changes occurred from one cycle to the other. Preliminary analysis of that data has so far revealed no changes occurring on the surface of Venus between mapping cycles. Magellan now has its high-gain antenna turned to the right as it maps long strips of the surface. During the first mapping cycle the side-looking radar was turned to the left. The antenna was turned to the right to map the south pole. Many of the same features that were imaged from the left during the first cycle are being imaged now from the new angle, which will permit investigators to get more accurate measurements and also will provide three-dimensional views of some features. The project said that because the spacecraft is currently in the sun during most of each orbit, measures are being taken to prevent temperatures from getting too high. A command sequence went into effect Thursday which will hide the spacecraft behind its large antenna twice in each orbit. 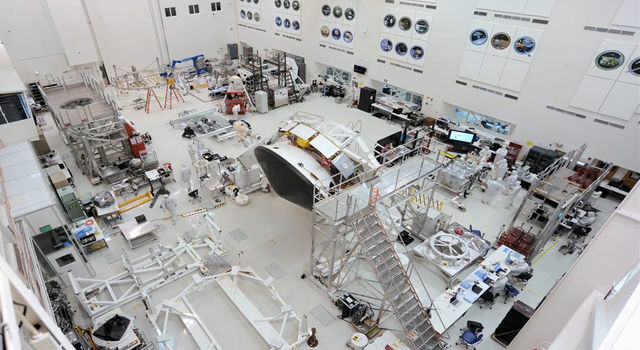 The Jet Propulsion Laboratory manages the Magellan project for NASA's Office of Space Science and Applications, Washington, D.C. 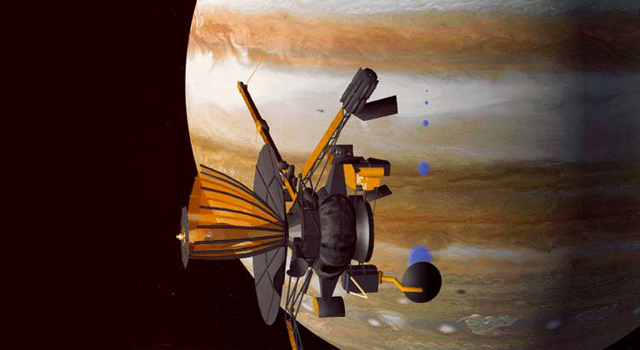 Editors: The above release is illustrated by a set of Magellan radar images of Venus. They will be available at the Public Information Office, JPL.